Brenda Lewis joined the agency in August 1998, earned her personal lines license in July 1999 and worked as a Customer Service Representative. In 2003, she obtained a commercial insurance license from the State of Iowa. She also manages commercial claims for the office. 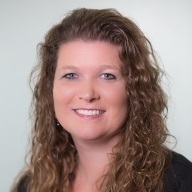 Brenda is licensed to sell personal and property & casualty insurance in Iowa. She holds an Associate of Applied Science Degree as an Administrative Assistant from Northeast Iowa Community College. Brenda is mother to one son, Elijah, and together they have a dog named Carver. In her free time, Brenda likes to spend time with family especially her son, niece, and nephews, take Carver for walks, watch Elijah and her nephews play sports, read, and play cribbage.